Do you ever make stencils with your Cricut and after the cut is made the middle of some of the letters fall out, and you wonder how on earth do I keep those middles from falling out? 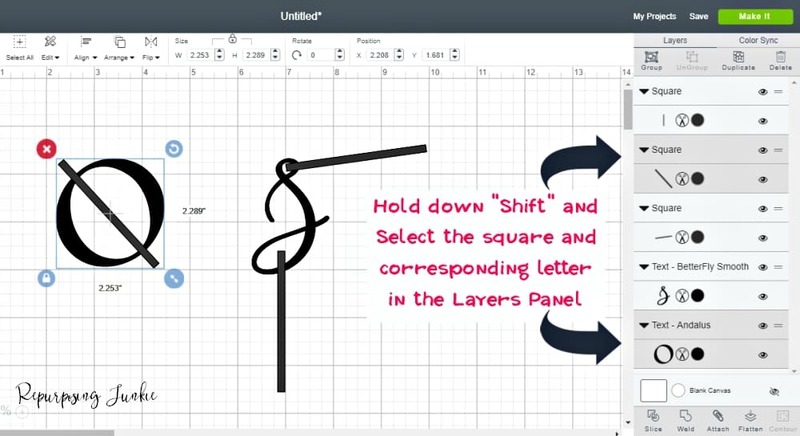 I’m here to share 2 solutions on How to Keep Letters Intact When Making Stencils in Cricut Design Space. The first solution is really easy; use a stencil font. That’s it. There are graphic designers out there who purposely make fonts to be used solely for making stencils. The stencil fonts will have the middle of the letters like “o” and “a” and “e” open and attached to the rest of the stencil so that it ensures the middles will stay intact. I personally like using the Tingler Script and Tingler Print fonts when designing my stencils. You can find this fabulous font at this Creative Market shop. There are other stencil fonts to choose from on Creative Market and definitely worth the investment if you’re wanting to create your own stencils. The second solution is to make the regular font into a stencil font. Now this solution is a little more complicated and time consuming, but it can be done. I’ll be showing you how you can make those middles stay intact when you’re creating stencils in Cricut Design Space. 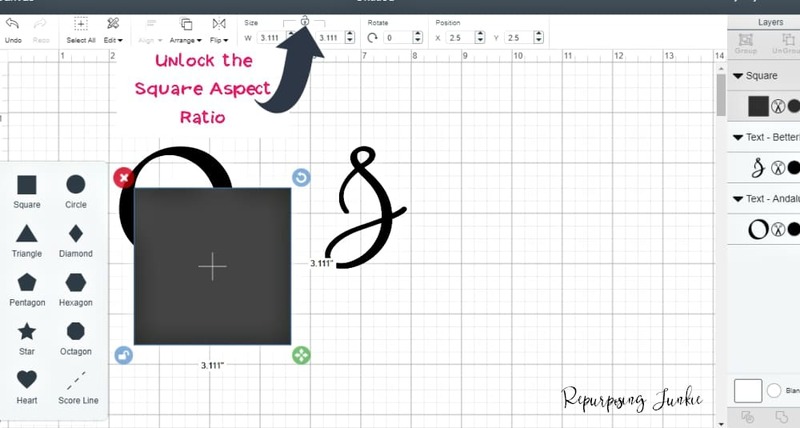 First insert your text in Cricut Design Space and type in your text. I will be inserting a print font and a script font to give a good picture of where the slices need to be in each type of font. Next click on the shapes button in the sidebar and then select the square shape. I like to unlock the square aspect ratio so the square can be made narrow for small slices. 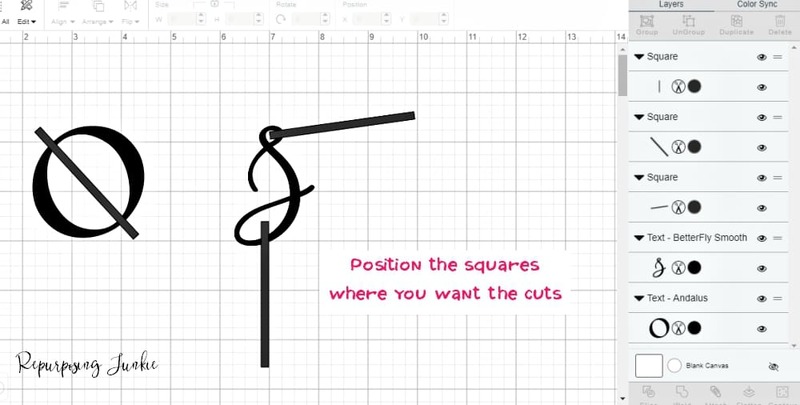 Resize the square to desired length and width. To save time, you can duplicate the square once you have the desired dimension set. Just make sure the square is selected and then right click and select “duplicate”. If you have a longer text design that has several letters that need to be sliced, an option would be to only make one “square” at a time to keep things less complicated in the “Layers Panel.” That’s just an option though; it’s whatever you find works best for you. If you do choose to only make one “square” at a time, maybe write down the dimensions of the “square” to refer back to when making more squares, so all the openings are the same width. Next select the corresponding layers by holding down the shift key on your keyboard and select one square and the corresponding text. Only one square and one text can be selected together at a time for a slice. When the text layer and the square layer are selected together, click slice. Delete the unwanted sliced layers. This can be done by moving your letter or by moving the sliced layers of the square and then deleting the “square” layers. There should be 3 layers that need to be deleted. After the last layer is moved and deleted, you’ll see the letter sliced open and stencil ready. Slice the remaining “square” and corresponding text which would be the script “S”. Since the “S” has already been sliced once, it’s now labeled Slice Result in the “Layers Panel”, but you should be able to see the picture of the text you are slicing, so it can easily be located, selected and sliced again. With more than one “square” that is being sliced on a letter it may just be easier to move the text rather than the sliced pieces. Click on the unwanted sliced layers and delete until they’re all gone. 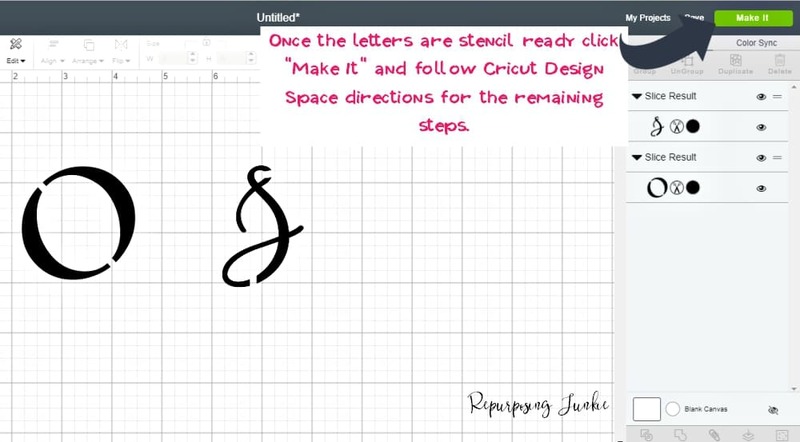 Once all the letters are stencil ready click “Make It” and follow the directions in Cricut Design Space. I really hope this helps and if you have any questions about this tutorial just let me know. Pin it! 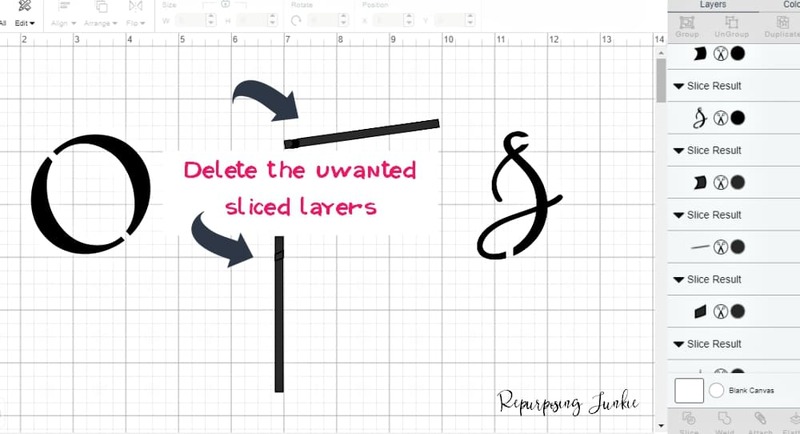 How to Keep Letters Intact When Making Stencils in Cricut Design Space!! Oh good I’m so glad Michelle!! 🙂 That’s awesome that your husband bought you the Brother Scan’n Cut! I can’t wait to see some awesome projects that you create from it! Keri, what helpful info! Makes me wish I had a Cricut. Are they complicated to learn how to use? Definitely pinning this info…I appreciate all the helpful photos. Looking forward to trying this out, Thanks!! I hope it’s helpful in your stencil making endeavors! 🙂 Thank you for your comment! Do you usually leave the opening in your letters when you’re finished? Or is there a way to fill the slit in once you’re applying your stencil to the project? That’s a good question. I leave the opening in the letter when I’m finished stenciling, but the openings could be closed with a very careful and steady brush stroke. You could even try turning the stencil just a bit and using the closed part of it as a guide to help close the gap, but doing so would probably depend on the design/font being stenciled too, and whether or not it’s the same thickness through the letter, hope that makes sense. This tutorial is so helpful! Thank you! I’ve just been replacing the middle piece that comes out of each letter and holding it while I stencil, which is so tedious. Problem solved! Awesome! I’m so glad this is helpful. Thank you for your feedback! I’m so confused ! When I do the first slice I can’t select any other letters… what I’m doing wrong? I have tried this several times and the slice button never highlights for me to use. I can’t figure out the problem . What about when you already have the design downloaded but don’t want the letters to fall out? Do you just slice everything together? I am a techy but this is not as simple as I had hoped. I’ve only had it 2 days though. I’m trying to hurry and create stencils to finish an accent wall. The boards are painted and waiting on me but I lose the circle in the “a” or the star in the design. I tried taping but that was garbage. Any help would be appreciated!!! Hi Heather, I think I can help you with the design. I actually have a tutorial on taking pre-made designs that aren’t stencil ready and making them into stencils. 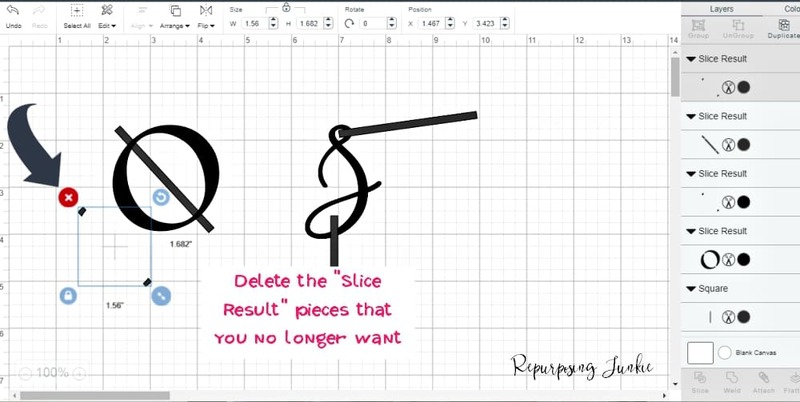 If you want to check that out here you can: https://repurposingjunkie.com/2018/02/25/how-to-design-your-own-stencils-in-be-funky-to-cut-in-cricut-design-space/ The part you’ll probably want that answers the letter “a” problem is further to the bottom, under the heading Using a non-stencil font. As far as the star you’ll have to find a way to make a bridge of some sort to connect it to the rest of the stencil. 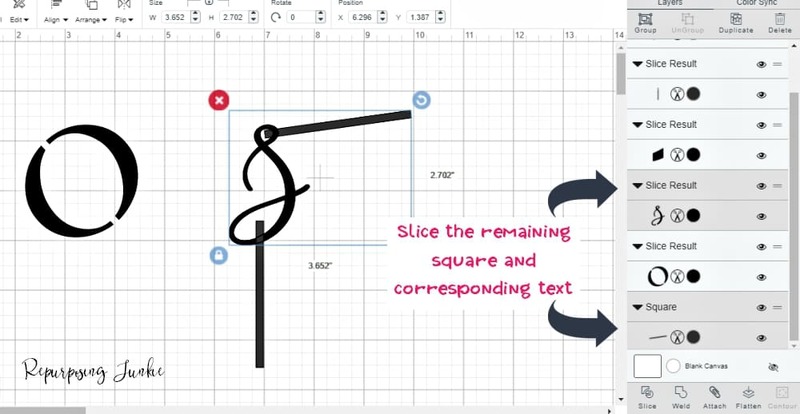 Without seeing the design it’s hard for me to say exactly how to do that, but you could probably use the cutout tool for that situation as well. 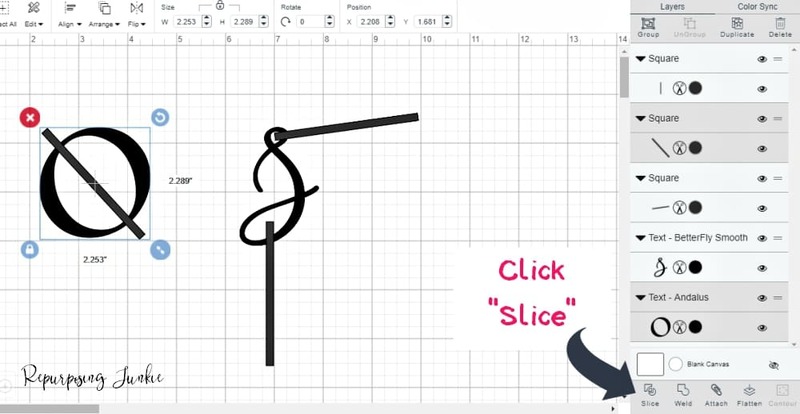 If you choose to use the software Be Funky that I mention in the tutorial, simply upload the design as either a jpeg or png and then you can use the cutout tool to make an opening on the letter “a” and hopefully to bridge the star to the rest of the design. Let me know if this helps or if I you have anymore questions.